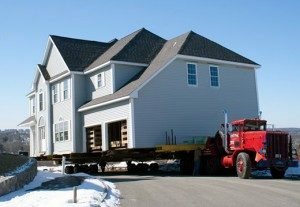 When people talk about moving house, they don’t usually mean literally moving the entire structure from its foundation to another location But that’s exactly what people mean when they talk about whole house moving. You may have seen an entire house being moved and think it’s a good idea but wonder if the expense and work is worth it. After all, many people would simply sell one house and buy a new one. There are several reasons why a homeowner would move a house. Avoiding demolition expenses, buying land without a house on it, or preserving a home that is particularly historic or valuable are reasons people may want to move their houses. Many people worry about things getting broken in the whole house moving process. Seasoned professionals are able to move the house without any damage being done, and some claim that the china still remained in the cabinets in its original position from the time the house was lifted from his foundation to the time it was placed in its new location. Moving a house, however, is a rather complex process that involves the new foundation and electrical systems. Depending on the value of the house, house moving can be a significant savings over buying a new home without the trouble of going house hunting. Professionals, like ourselves at Payne Construction Services will do most of the work in whole house moving and insert support beams that are lifted in a hydraulic jacking system. Once you decide that whole house moving is the right choice for you, make sure you receive an adequate estimate of all of the work. It is vital that the house moving company you hire is insured in case of damage to the house or injury to the workers. You will also need to make sure that you have all of the licensing and permits for moving a home before you begin the process. At Payne Construction Services we can provide house moving services for historic homes, new homes or commercial buildings. Interested in learn more? Get a free quote or call us today.